This exciting new book from Molly Potter addresses the perennial problem of how to prepare your child for secondary school. It's a comprehensive guide that starts with the thorny issue of choosing the 'right' school, outlines what to expect, explores all the common fears and anxieties that secondary transfer can cause and gives practical advice that can be used to support your child through this process. 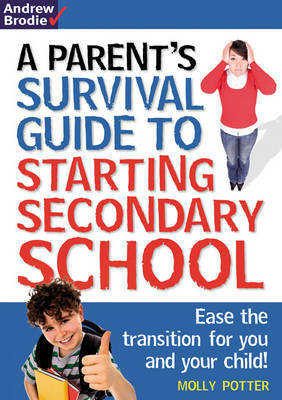 This survival guide will definitely help parents/carers feel more comfortable with their child's move to secondary school.